When Waitrose asked us to look at the editorial style and tone of voice of its packaging, we didn’t expect to be writing a 37-page document. But the team we were working with wanted a comprehensive guide that everyone – Waitrose’s buyers and roster of freelance copywriters – could refer to. 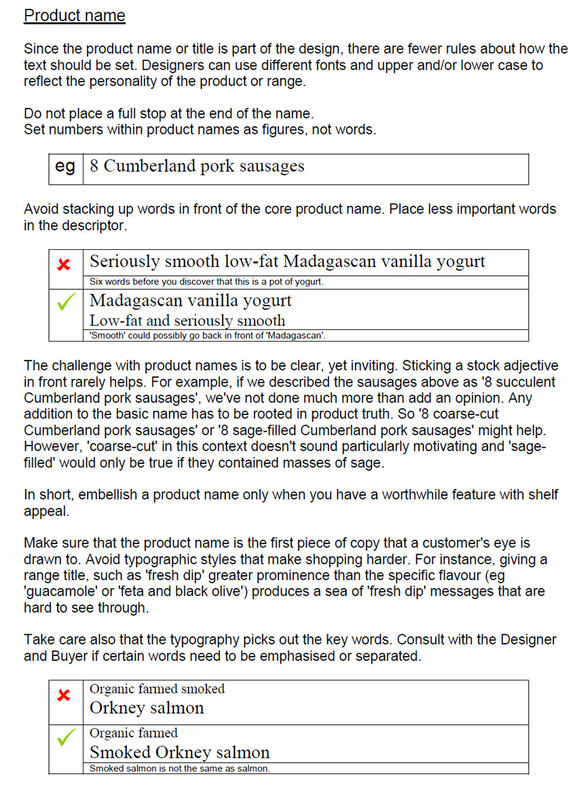 Since there was no existing guide, we created Waitrose’s style from scratch. We began with an audit of the packaging copy, explaining what worked and what didn’t. 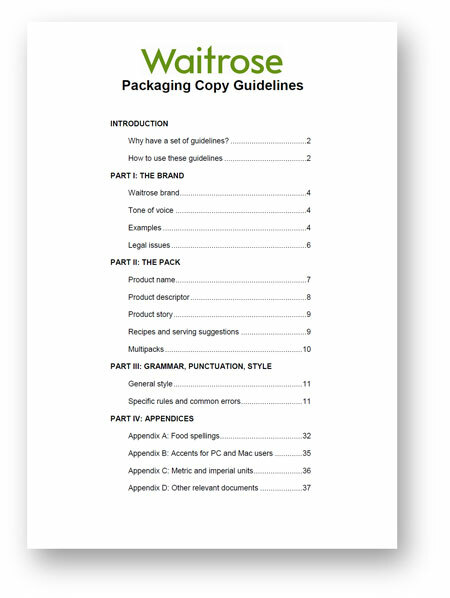 Although this guide has long since been superseded, we think it still stands as a model of what makes packaging copy appealing and instantly understandable. We, too, were on that roster of writers. The two packet soups come from one of our copywriting projects.